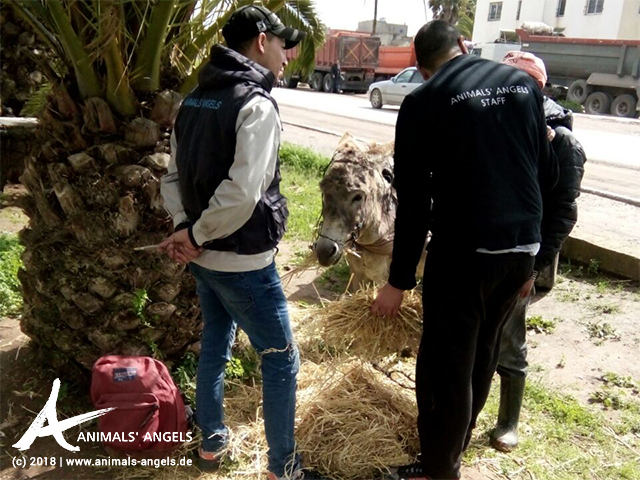 Our Moroccan Animals' Angels team supports and helps the animals at Skherat market. Because of the bad weather, there are only a few people and animals there today. Tirelessly, Habib and Boubaker talk to the animals' owners about proper care and handling. Some of them they already know. 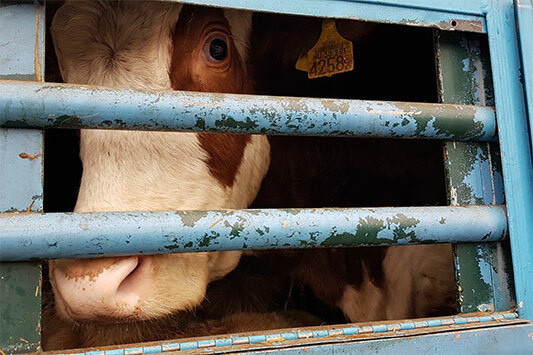 Sadly, they still find 'working' animals having pressure marks and open wounds caused by unfitting harnesses and saddles. 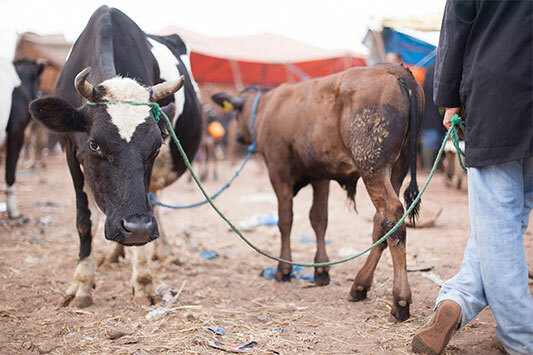 Habib and Boubaker clean and treat their wounds and get fresh hay for the exhausted animals. 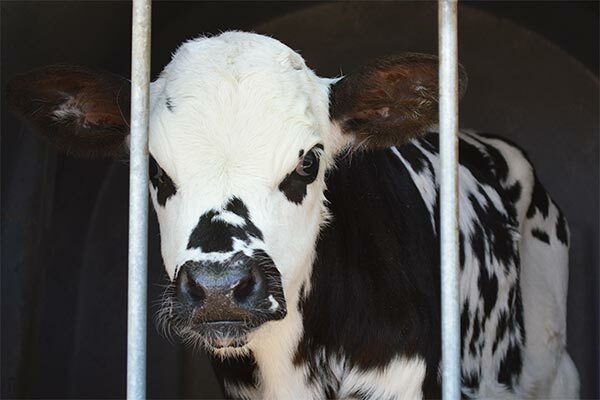 At first, many of the owners are very skeptical towards our team and reject their offer to examine their animals. But thanks to Habib’s and Boubakers’s persistence, most of them are being convinced in the end. We are very happy that again there is a young boy who eagerly wants to help our team. It’s the first time they meet him at the market and he immediately wants to help. He also tells the other market visitors about our team's work.